The insurance company pays for the losses of the insured vehicle for all damages in excess of the amount of the deductible caused by: collision, overturn and/or glass breakage.. Towing expenses are covered to move the vehicle for repairs to a place designated by the company. This coverage protects your vehicle up to the declared value in case of total theft, fire, lightning, explosion and meteorological phenomena such as storms, cyclones, hurricanes and earthquakes. Partial theft and Vandalism are excluded as well as the theft of useful parts or accessories (unless it is a direct consequence of the total theft of the vehicle). BI / PD (Bodily injury / Property damage) – CSL (Combined single limit): Coverage for the total amounts for which the insured is legally obligated to pay damages to third parties due to bodily injury (BI) or damage to property (PD), and in some cases other damages in which an insurance policy applies. The occupants of the insured vehicle are excluded in this coverage. It covers the medical expenses of the driver and the occupants of the insured vehicle in Mexico, for sustained injuries in the event of a covered loss. Medical Assistance is provided 24 hours a day, 365 days a year and includes the following: Medical referrals, the company will provide medical referrals within the Mexican Republic, and ambulance service, if necessary, the company will provide the names and telephone numbers of the ambulance service and will arrange for the dispatch after the costs have been authorized by the insurer. This coverage covers up to $ 2,000 for each injured occupant but for no more than $ 10,000 per event. Provides legal services and required bail payment in the event of a covered loss. The insurance company will assign, upon request, the services of professional lawyers and will pay for the expenses of the process. These services are available 24 hours a day, 365 days a year. Including a toll-free telephone line calling from Mexico for legal and assistance services. Roadside Assistance helps you when your car breaks down. A call to the Emergency Service Line will then dispatch a service vehicle from an authorized local repair shop to assist you if your vehicle breaks down. The benefits for this coverage vary depending on the company to be selected. Repairs in the US or Canada depend on the insurer and the coverage contracted. With the coverage of $ 300,000, repairs in the US or Canada are possible. With the coverage of $ 50,000 and $ 100,000 dollars depends on the insurer, please go to the quotes page to make sure. In case of an accident where the driver of the other vehicle is not insured; all the Mexican insurers available will make the policy effective covering the damages according to the limits contracted in your policy. In case of a claim where the payment of a bond is involved; all Mexican insurers available in cover it. The car rental paid by the insurer in case of an accident depends on the insurer and the coverage contracted. Please go to the quotes page to find out which insurers cover this point. The emergency transportation paid by the insurer in the event of an accident depends on the insurer and the contracted coverage. Please enter the quotes page to find out which insurers cover this point. The return home tickets paid by the insurer in case of a claim depends on the insurer and the coverage contracted. Some insurers do not offer roadside assistance coverage, please see notes on the quotes page. To see the limits on coverages, please go to the quotes page. Vehicles valued below $ 3,000 or more than $ 80,000; or vehicles more than 15 years old, cannot be covered with collision coverage and total theft, depending on the Insurance company…. these rules may vary. Motorcycles cannot be covered for Medical Expenses coverage. Deductible of the policy, how much do I have to pay? The deductible is the amount that you are required to pay to the insurer in case of loss. All insurers offered by have an established deductible. For coverage of $ 50,000 and $ 100,000 dollars, the deductible for property damage to your vehicle is 2% with a minimum of $ 500 and for total theft is 5% with a minimum of $ 1,000. For coverage of $ 300,000 dollars the deductible is fixed, it will never change. For physical damage is $ 500 dollars and total theft is $ 1000 dollars. The deductible must be paid in the case of physical damage at the time of repair and in the case of total theft, this will be deducted from the payment of your vehicle. Number of events covered by the policy. 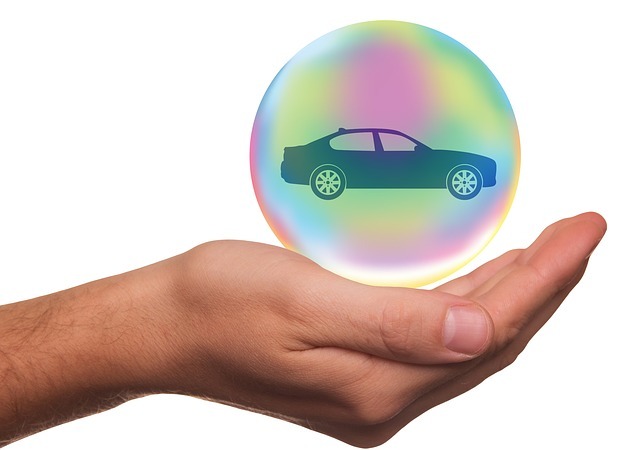 During the covered policy term, all events caused by collision, total theft, as well as civil liability, medical expenses and legal assistance are covered with the applicable deductible, if any, per event. Number of events covered by the policy for roadside assistance coverage on the road. The coverage of roadside assistance varies depending on the insurer that is selected. If the policy is short term (it is not an annual policy), only one event may be covered during the term of the policy. If the policy is annual, 2 or 3 events may be covered during the term of the policy. Cancellation of the policy before the start date. Canceling the policy is very simple! Visit our BestMex page in the “My Account” section. When you cancel before the policy goes into effect, you will receive a refund of 100% of the net premium of your policy. The policy fee is NOT refundable in any case. Cancellation of the policy after the start date. The first step to cancel a policy that has already started is to send your cancellation request to the email service@bestmex.com and / or fax 888-329-6942, explaining the reason and your contact information. We suggest sending your request on business days (Monday to Friday) and within office hours (9 a.m. to 6:00 p.m. CST), otherwise your request will be answered until the next business day. We, together with the insurer, analyze if the contracted policy may be cancelled, and a response is given. If the cancellation applies to your policy, you should consider that there are conditions and restrictions depending on two variables: Type of contracted policy and insurer contracted. The days elapsed since the beginning of the policy as they are taken into consideration. Adding additional days to your policy. Simply log in BestMex.com system and buy a policy for the number of additional days you need. Personal Items inside the vehicle are NOT covered. No policy covers personal items inside the vehicle in the event of a loss. The policy DOES cover other drivers in case of accident. Other drivers driving your vehicle are covered in the policy in case of an accident. It is necessary that they have a valid driver’s license for the type of vehicle that is being driven. It is required that you travel in your car when others drive your vehicle, this per the temporary permit issued by Banjercito, the person(s) authorized and named therein should be in the vehicle. Information that is required for the purchase of a policy. Before you start buying the policy online at BestMex.com, have your driver’s license, vehicle registration and the name of the American or Canadian insurance company on hand. For the payment of the policy you will need a credit card. The cost is calculated taking into account the number of days of coverage, cost and type of vehicle and other details that differ for each insurance company. However, remember that depending on the length of your stay, it could be less expensive to buy six months or a year instead of a policy for days. The BestMex.com system will show you all the quotes available for your situation. On-Road Assistance Service How and when to use it? The Assistance Service on the Road helps you when your car breaks down during your trip. When calling your insurer’s Emergency Service Line, they will send a service vehicle from an authorized local repair shop to help you repair the fault or damage to your car. The benefits for this coverage vary depending on the company to be selected. Note: Vehicles valued at less than $ 3,000 dollars or more than $ 80,000 dollars, as well as vehicles with more than 15 years old, can not be protected with collision and total theft coverage. Depending on the insurance provider these rules may vary. Motorcycles do not have Medical Expenses coverage. Some insurers do not offer Assistance on the Road coverage, please see notes on the quotes page).